Georgios Bartzokas has his first victory in the Endesa League as FC Barcelona Lassa coach. The Catalans overcame ICL Manresa 50-56 with Tomic (13), Doellman (11) and Oleson (10) top-scoring for Barça in a close game which wasn't decided until the final quarter. 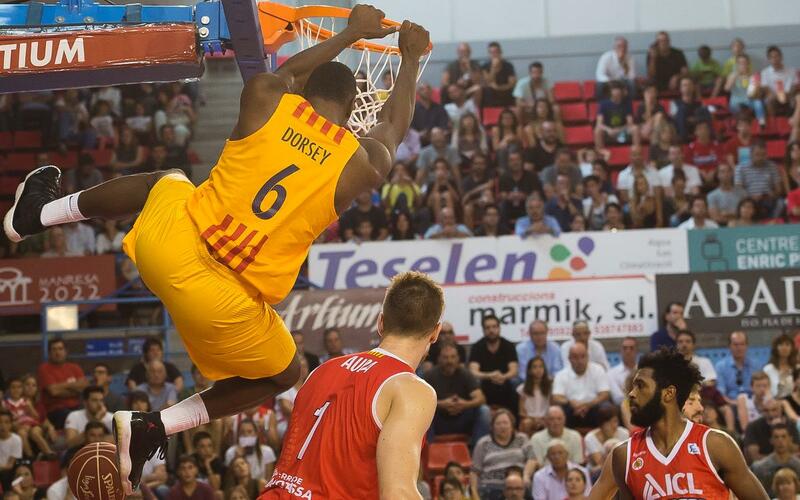 Barça Lassa were without Rice, Koponen, Ribas, Navarro and Lawal, and struggled to get going initially. However, Manresa didn't take advantage and the game was scrappy and error-strewn. This lead to a low half-time score of 15-23 explained by some poor offensive statistics: Manresa converted only 8/39 attacking opportunities and Barça managed 13/37. Slowly, the Catalans started scoring more regularly. The third ten minutes ended with an advantage of 31-40 thanks to two Tomic points at the end of this quarter. The victory became clearer in the last quarter, in which Bartzokas' men stretched their lead and lead to 16 points (31-47) in the 32 minute. Manresa fought back but could not avoid a second successive defeat against Barça following the Catalan League final in pre-season. The blaugranes impressed in their first league game as they coped admirably with the absense of so many key players.